Euboea is the second largest Greek island after Crete. It is still relatively unspoiled in terms of natural beauty and traditional ways of life. Euboea, a Greek Island is the second largest after Crete. The land is relatively glowing in terms of natural beauty and traditional ways of life. Euboea offers a chance to lose yourself in time and go back to an unspoiled era, rich in culture and intoxicating scenery. Euboea captures a diverse landscape that is filled with mountains and wild beaches. It’s picturesque villages are various attractions make it a relaxing place to visit. Separated from mainland Greece by the Euripus Strait, Euboea is a long, narrow island in the Aegean Sea. Geologists speculate that the island was originally part of the mainland, but it probably detached after earthquakes struck the area. Mountains run down the length of the island and their principal peaks include Ochi, Dirphys, and Pyxaria. The island has an ancient history; an early story suggests that Agamemnon and his fleet sheltered in one of the island’s bays during a wind storm. The island’s ancient cities of Chalcis and Eretria were once Ionian settlements and feature prominently in the island’s history. Chalcis and Eretria were important cities on ancient trade routes that helped spread Greek culture throughout the Mediterranean. 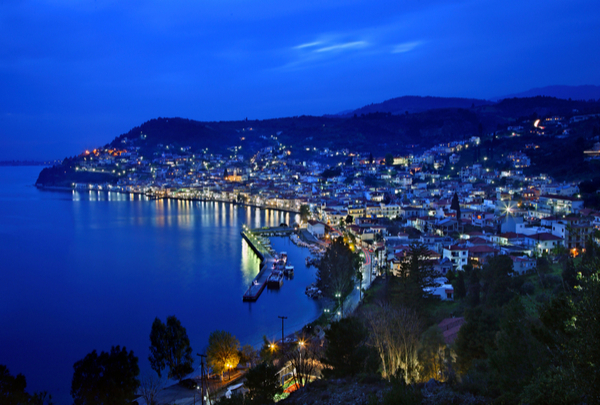 Both cities were described in Homer’s Iliad as rivals; inhabitants of both cities founded many other colonies in this area of the ancient world. Today, Chalcis is home to roughly 100,000 residents and is connected to mainland Greece by two bridges. Eretria contains remnants of Neolithic settlements from the ninth century B.C. The city was destroyed in 87 B.C. during the Mithridatic Wars and was not settled as a town again until 1824. Today, travelers are particularly interested in Eretria because of its archaeological importance. Like many other Greek islands, Euboea underwent many turbulent times throughout its history. It suffered various occupations by Macedonians and Turks. Its coastal towns were once destroyed by Sicilian forces. The various peoples that came to the island left their mark on its culture, however. Today’s island continues to reflect a cultural richness that has been evident there for many centuries. This island’s mixed heritage is evident by the various peoples that make their home on the island today. Euboea boasts many attractions that are popular with visitors. With its breathtaking view of Mt. 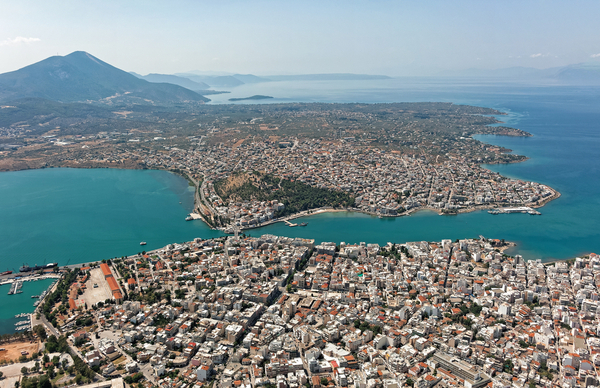 Ochi, the seaside town of Karystos is a lovely place to witness the island’s charms. Scenic and quaint, Karystos features such important sites as Castello Rosso (a ruined Venetian castle) and a small museum filled with Hellenistic and Roman artifacts. The mountainside fishing village of Limni is also noted for its picturesque qualities. With its famous Thermaisylla-spa Grand Hotel, the Loutra Edipsou is the perfect place to stay when visiting the northern region of the island. Known for its enchanting hotels, cafes, and shops, this community is still most famous for its medicinal springs that have been popular since Roman times. Its nightlife and entertainment are also popular with visitors to the island. Despite its proximity to Athens, Euboea has retained its largely quiet and relaxing atmosphere; this may be due to its essentially agricultural nature. 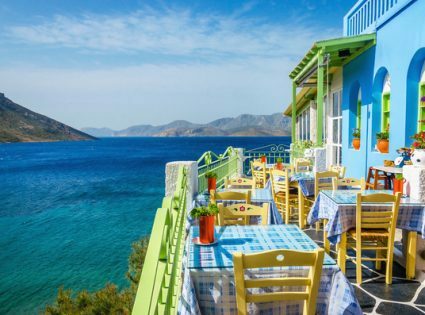 Anyone looking for an island getaway filled with charming towns, remote beaches, and scenic mountainsides should consider this attractive Greek island. Euboea also contains some interesting archaeological sites and museums that are popular with history enthusiasts. The peaceful island of Euboea is an unconventional trip for most. Certainly, it is not the place that perhaps features first in any adventure travelers thoughts. However, it is fairly worth some interest. Euboea is a fantastic place for those who wish to witness a small piece of the Earth which can truly be called unique and lost in time. The island offers a finely tuned mix of historical culture and old ways of life alongside the trappings of modern society. Luxury hotels and nightlife call those who seek it out, while more gentle cultural and social pursuits may be found amongst the islands rich heritage and ancestry. 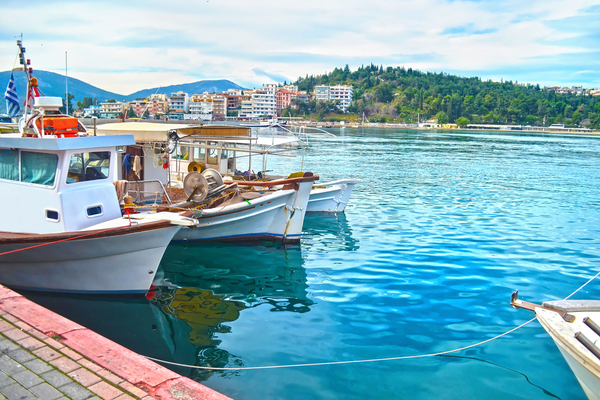 Together this makes a trip to Euboea a fine choice for an original trip idea to explore the Greek islands, travelers should be able to organize a varied and exciting itinerary.